Thornton-Smith Antiques – ‘The Georgian House’. 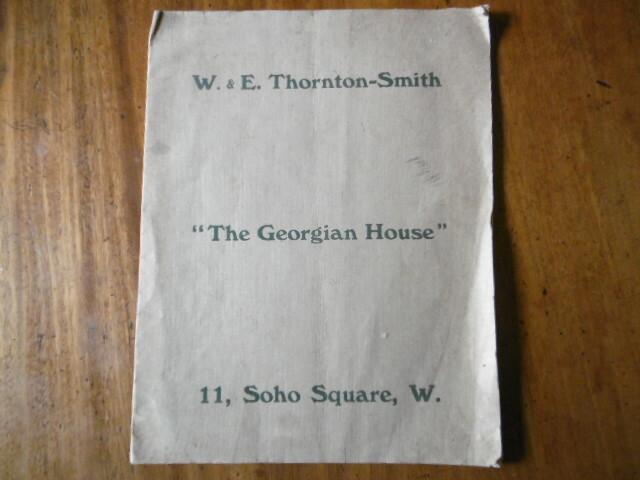 ‘The Georgian House’ – W.& E. Thornton-Smith. c.1910. Following the very kind donation of antique dealer ephemera by Tim Turner at Sworders Auctioneers we thought we should compose a fuller account of our investigations of the catalogue of the antique dealers W.& E. Thornton-Smith. Phillips of Hitchin, ‘The Georgian House’, catalogue, c.1920. 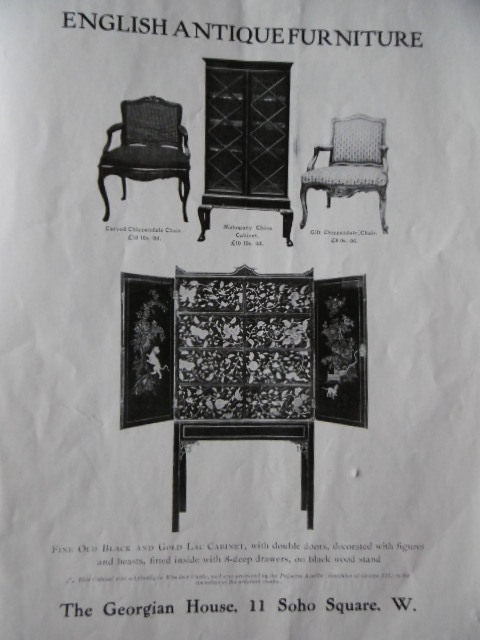 The catalogue is a type that was produced by many antique dealers during the early 20th century. 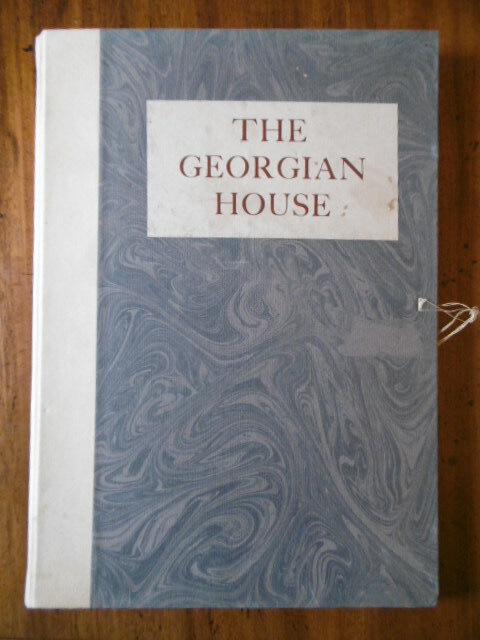 A key comparison is the catalogue produced by Amyas Phillips, of the firm of Phillips of Hitchin, who also produced a catalogue of stock titled ‘The Georgian House’ (this one c.1920). 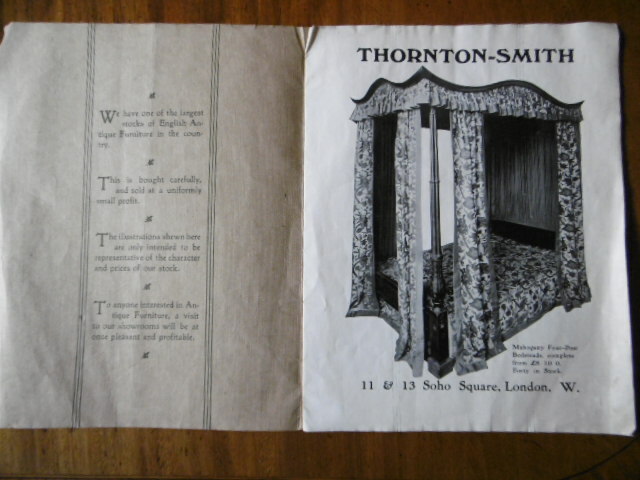 The Thornton-Smith’s catalogue appears to date from c.1910, given the suggested information on the back of the catalogue (i.e. 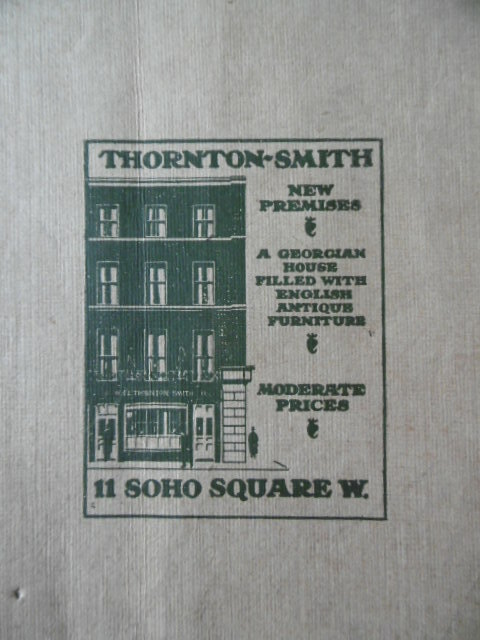 that Thornton-Smith had ‘New Premises’ at 11 Soho Square, London); they appeared to have moved to 11 Soho Square in c.1910. The catalogue also contains an extensive number of black & white photographs illustrating the range of stock held by Thornton-Smith in the period. Walter George Thornton-Smith (d.1963) established his antique dealing business in c.1906, with Ernest Thornton-Smith. Like many antique furniture businesses at the time, Thornton-Smith also provided a full interior decoration service for their clients. Indeed, such was the reputation of Thronton-Smith as decorators that they started the careers of two of the most well-known interior designers of the 20th century – Syrie Maugham (1879-1955), wife of the writer W. Somerset Maugham, and interior decorator par excellence during the 1920s and 1930s (famous for her interior schemes made entirely with shades of white) began her training with Walter Thornton-Smith in the early 1920s, before setting up ‘Syrie Limited’ at 85 Baker Street, London in 1922. It seems that Thornton-Smith was introduced to Syrie when he was commissioned to decorate her home at York Terrace; she was at the time recovering from her recently failed marriage to the Industrialist Henry Wellcome (1853-1936). The other key interior decorator associated with Thornton-Smith was John Fowler (1906-1977), of Colefax & Fowler, who briefly trained at Thornton-Smith in the late 1920s. Thornton-Smith was a highly successful businessman and, like many dealers and collectors of antiques at the time, he also took a keen interest in ‘ancient buildings’. He developed a number of historic architectural projects, often recreating ‘historic homes’ by recycling architectural elements from demolished buildings. One of the earliest of his projects was the dismantling and re-siting of a 16th century half-timbered building ‘Kingston Hill’, near Woodbridge in Suffolk (it’s not known where he re-sited the building?). His major project however was Shoppenhangers Manor, Maidenhead, Berkshire. 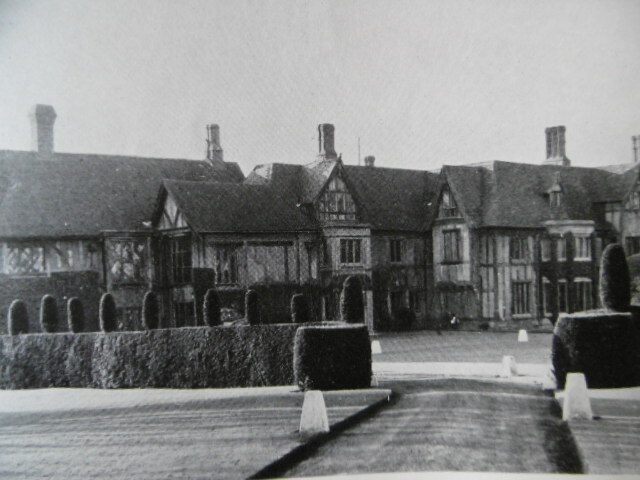 Shoppenhangers Manor, Maidenhead, as seen in c.1950. Photograph from Apollo Magazine, August 1956. 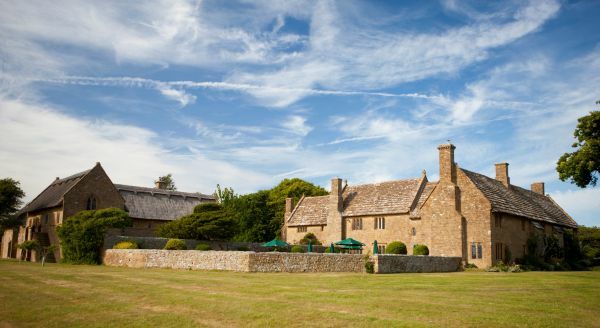 Thornton-Smith bought the site of the original manor house at Shoppenhangers (the site had already been cleared of the remains of the original manor) in 1914 and set about recreating a 16th century manor house on the foundations of the original house. The project seems to have taken 4 years to complete, and was assembled, recreated, using an astonishing range of architectural elements, from a wide geographical area, and made available through a variety of opportunities and events. Painted glass from Selby Abbey, for example, made available following the major fire at Selby Abbey in 1906, was installed in the ‘Long Room’ at Shoppenhangers; there were ceilings from an ‘ancient inn at Banbury’, and panelling from an ‘old house’ at Faversham, as well as that ‘removed from a Venetian Palace’. Other materials apparently came from West Wycombe Park and from ‘an ancient house in Spain’. One of the most important rooms in Shoppenhangers Manor, the ‘drawing room’ was lined with panelling from Billingbear Park, Wokingham. Shoppenhangers Manor, the drawing room. Photograph from Apollo Magazine, August 1956. It’s not actually clear how Thornton-Smith acquired the panelling from Billingbear Park – given that the house was still occupied until a devastating fire in 1924 (some 6 years after Thornton-Smith supposedly completed his house), but it may be that Billingbear Park was refurbished/remodelled sometime in the 1910s, or that Thornton-Smith acquired the panelling in 1924 and continued to construct his ‘new-old’ house? If you are interested in reading more about Thornton-Smith’s project at Shoppenhangers, it was the subject of a short essay by Horace Shipp, in Apollo Magazine in August 1956, pp.41-45 – ‘A Home and it’s Treasures, Shoppenhangers Manor and the Collection of Walter Thornton Smith’. After Thornton-Smith died, Shoppenhangers Manor was sold to the Esso Petroleum Company in 1965, when there was also an auction sale of the contents; it was converted into an hotel in the late 1960s, and was eventually demolished in 2007. Which brings us back to the Phillips of Hitchin ‘The Georgian House’ catalogue. The antique dealers Frederick W. Phillips and Amyas Phillips have been the subject of earlier blog posts in the antique dealers blog (see Phillips of Hitchin posts), but one of the interesting aspects about the Phillips family business is also their architectural projects, which are in direct correlation with those of Walter Thornton-Smith (they must have known each other I’m sure!). Phillips’ major project (one of many, that also included the dismantling and sale of the London home of Sir Isaac Newton in the 1910s) was the reconstruction of Baliffscourt in Sussex. 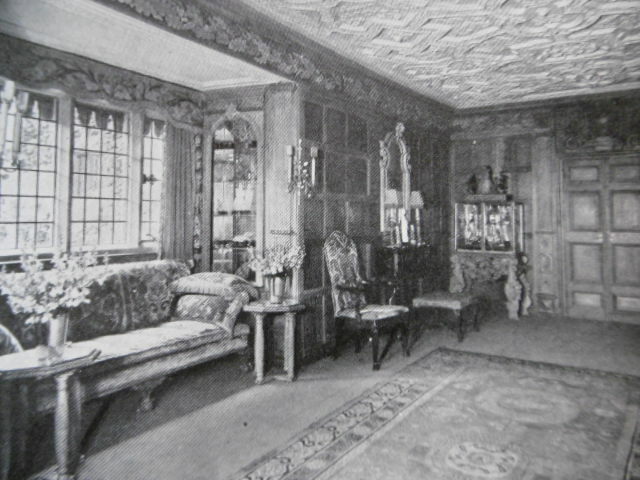 Amyas Phillips was engaged by Lord Moyne in 1927 to recreate a late Medieval manor house, and, like Thornton-Smith, he began assembling the ‘ancient manor house’ by scouring the country for historic architectural elements, creating a house that is a poem of romantic architectural fragments. Whatever the real stories behind the provenance of the architectural elements that eventually made their way to these ‘new-old’ homes, these architectural projects illustrate the significance of the key roles that the antique trade played in these romantic recreations of the past, providing the perfect back-drop for the assemblage of antique furniture and objects that the dealers also supplied.